80-100cms in approx 3 litre containers. 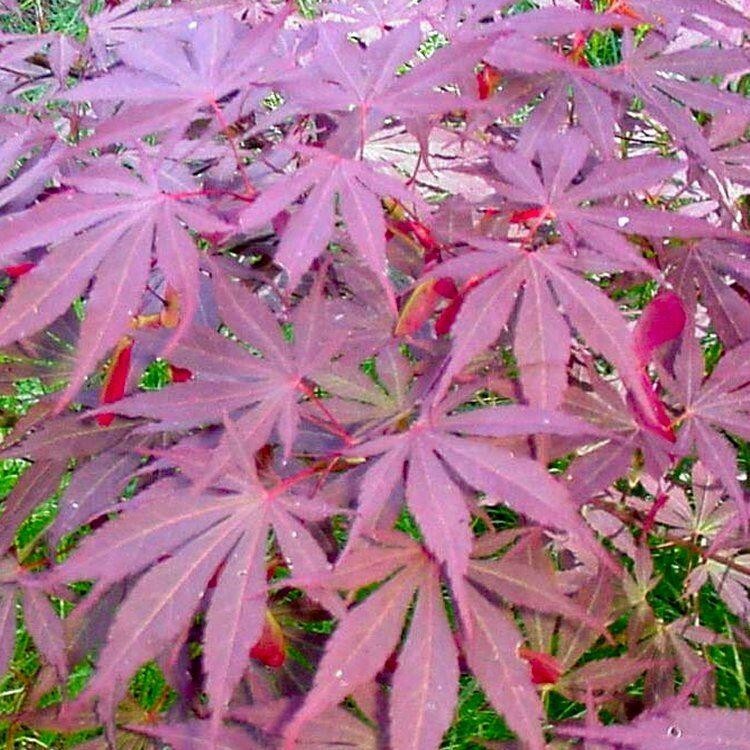 Acer palmatum 'Suminagashi' has wonderful dark purple spring leaves, adopting bronzed-green tones in summer and then turning crimson in autumn. This small, upright Japanese Maple is ideal for any sized garden, reaching a height of 2.5 metres with a canopy of about 1.5 metres in maturity. It is a spectacular small tree and will add considerable colour in both spring and autumn. Like all Acer palmatum varieties, 'Suminagashi' likes a sheltered situation and well drained soil but is otherwise easy to accommodate. 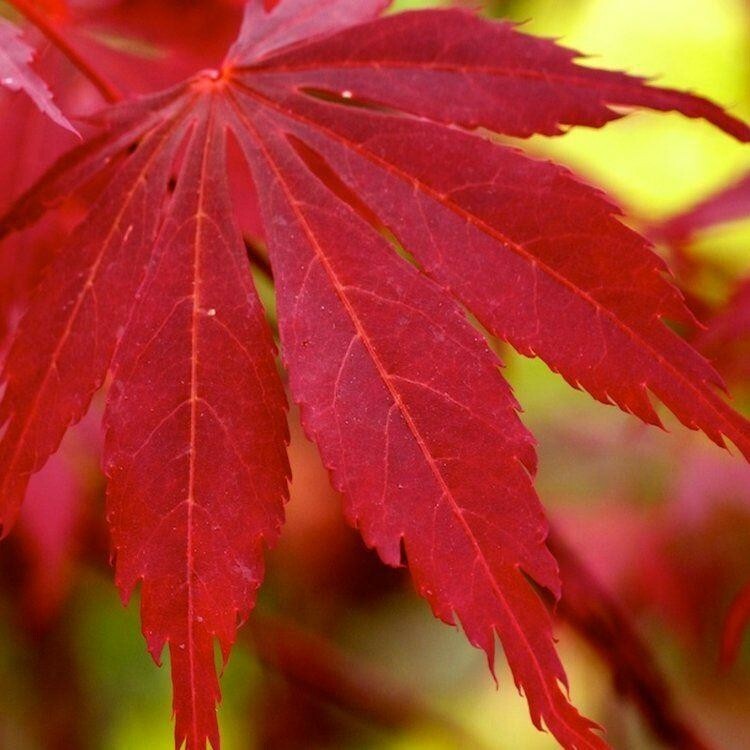 Acer palmatum (Japanese maple) are small, deciduous trees grown for their graceful habit, beautiful coloured foliage that is often deeply dissected the Acer is a perfect addition to any garden especially if you're looking to add some autumn interest. Many cultivars are extremely slow growing, making them perfect for small gardens or grown in pots. 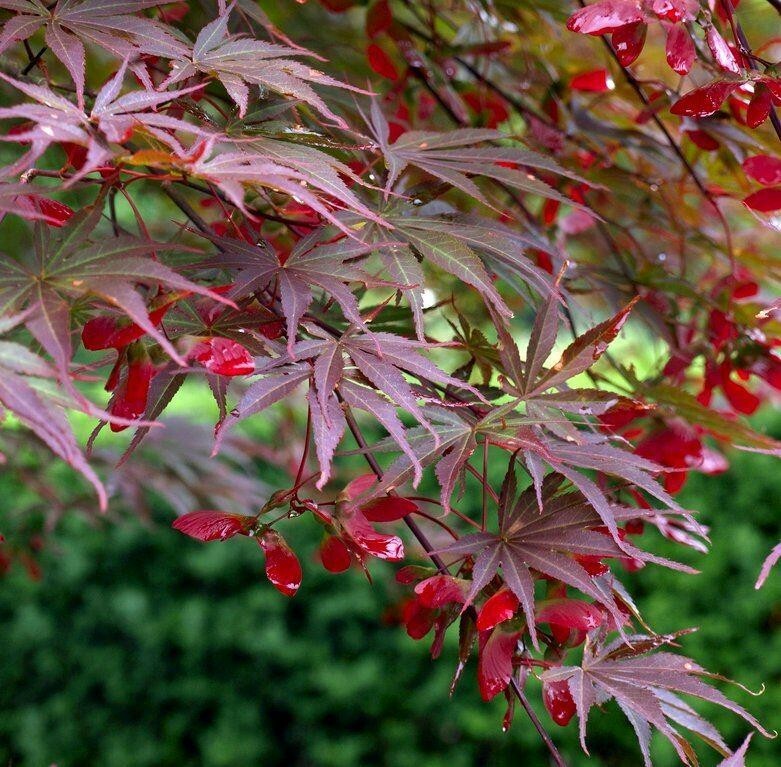 Acer palmatum 'Suminagashi' is a large leaved, fast growing maple with serrated leaves and an upright growth habit. Vivid red leaf colour in spring, turning bronze-green in summer, followed by bright crimson in the autumn. Lovely deciduous tree with upright habit, and as a real bonus the crimson leaves in autumn/winter are outstanding. Prefers partial shade, but can tolerate full sun, however, leaf scorching may occur.